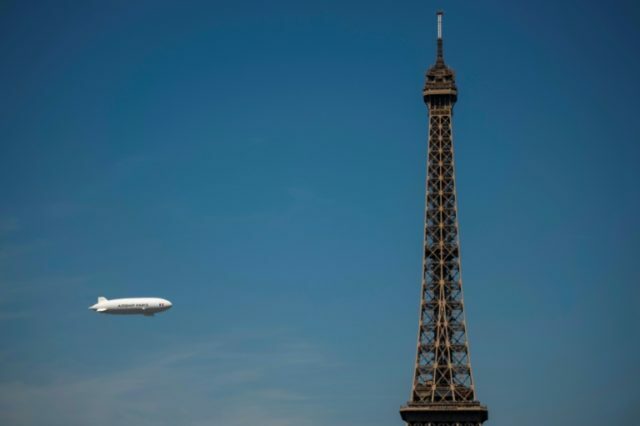 Paris (AFP) – France will pump up to 25 million euros ($31 million) into a fleet of rigid airships for transporting heavy cargo, the country’s public investment bank said in a statement Wednesday. The rigid airships — not to be confused with their cousins blimps that don’t have an internal structure — will have a 60-tonne capacity, and be of particular use to freight and logging companies. The airships, commonly known as zeppelins, will be filled with inert helium rather than hot air or flammable hydrogen which led to the 1937 Hindenburg disaster that ended their widespread use. But the potential of airships to provide an environmentally-friendly, low-cost alternative to helicopters and airplanes for transporting cargo has led to renewed interest. The French project, dubbed LCA60T, is being developed by a startup aptly named the Flying Whales. Financing for the project will come in the form of subsidies and reimbursable grants. The public investment fund will cover nearly half of the 61 million euros needed for the project. Flying Whales is also getting funding from the French forestry agency and China’s aviation industry corporation AVIC. The LCA60T was originally designed to collect wood from hard-to-reach areas of forests. Not only startups are pursuing airships. A French company at last year’s Paris Air Show expressed interest in purchasing 12 airships from US giant Lockheed Martin.